Offering a massive range of brands and styles, our headphones selection is truly comprehensive! If it’s something for the commute to work, college or school you’re after, then check out our range of in-ear headphones. Small, light but always chosen for the best sound at their price, these are the most popular choice for music on the go. If you’re connecting up to your smartphone, then why not choose a pair that also come with a built-in mic – perfect for switching between calls and music. Do check the model you’re interested in carefully, though, as some only work with Apple iOS and not Android phones or vice versa. Ranging from a few pounds to around £1000, we really do have in-ears for all budgets! For music at home you’ll probably prefer on-ear headphones. Although larger, these generally offer a more dynamic sound and greater long-term listening comfort. Check that the plug size is right for your system as you may find you’ll need a 3.5mm – 6.3mm adaptor plug. There are essentially two types of on-ear headphones; closed back and open back. Closed back offer superior, passive noise isolation for blocking outside sounds. As they don’t tend to leak sound, they’re also more sociable for those around! Open back designs let more noise in and out but they also tend to sound more spacious. If you’re a regular traveller then you might want to consider noise-cancelling headphones. Perfect for use on planes, trains and coaches, these actively block out background noise. Price for price, the sound quality won’t be quite as good as regular headphones and they do require battery power but they can make all the difference between a stressful journey and a soothing one! For complete freedom from wires, try out a pair of wireless headphones. The most popular use two types of wireless transmission; RF (Radio Frequency) or Bluetooth. RF usually offers a longer range but the downside is that a transmitter is also required, making them less flexible. Bluetooth headphones will easily pair with your smartphone, tablet and many other devices, but do tend to be limited to a range of around 10m. Finally, if music means the world to you (as it does us), then why not check out our premium range. Boasting the finest brands such as Grado, AKG, Sennheiser, PSB, Beyerdynamic, Shure, Final Audio Design, Bang & Olufsen, Oppo & Audeze, we’re truly proud of our extended premium range. Premium quality headphones can deliver astonishing sound quality with the detail and resolution usually associated with amp and speakers costing many thousands of pounds. As we realise some of these headphones can represent a major financial commitment we offer a ‘try before you buy’ service and highly recommend taking a listen at one of our stores rather than buying ‘blind’. Whichever headphones you’re interested in, don’t forget our Price Beat guarantees the cheapest price available – subject to just a few reasonable terms and conditions. If you use your headphones a lot then you may want to look into a headphone amplifier. These employ specialist circuitry to boost the performance of your favourite cans by making sure the signal is as pure as possible; exactly what's needed to eke out every last drop of quality. 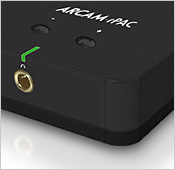 Sometimes these will have an advanced DAC (Digital-to-Analogue Converter, click here to learn more) for a spectacular jump in clarity from your digital music. Some hi-fi amplifiers have these built in, perfect for anyone who still wants to enjoy their music to its fullest without disturbing anyone else. Or, if you're a traveller, you could opt for a portable model, for top-notch sound anywhere in the world! 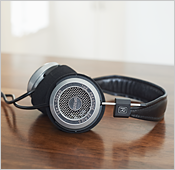 Most headphones use a dynamic driver set-up, also known as moving coil drivers. These are the staple choice for headphones. Using air compression to rapidly move an ultra-thin coil of wire, sweet sound waves are produced for you to hear. It’s hard to go far wrong with dynamic drivers as they are effective for all budgets and can produce powerful bass, with crisp, quality sound. Less commonly used but becoming the go-to choice of the connoisseur are planar magnetic drivers, these sit somewhere between Dynamic and Electrostatic in terms of their technology. 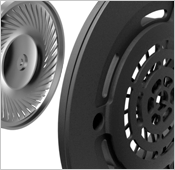 Their magnets push and pull the diaphragm, which is spread across the driver to create a more balanced sound, as the magnets work more efficiently at a greater density. Magnetic planar drivers are often used in high-end headphones as they produce a less distorted sound, with excellent transient response and a fine balance with their larger magnetic drivers. These headphones also improve with use, needing to be run in before being at their best, often between 50-100 hours. Finally you have the electrostatic driver headphones, which work by placing a static (non-moving) electric charge on a film that floats between two perforated metal plates. When audio voltages are applied across the plates, static cling and repulsion causes the entire film to move all by itself. This film is so thin that it weighs less than the air around it, and has no resonances or energy storage which leads to the coloration inherent in moving coil speakers. So if electrostatics are so superior, why aren't they more popular? Easy: they require a high-voltage power supply, which usually means using at home with a hifi or dedicated headphone amplifier and typically they are rare and expensive. Shure are introducing the world’s first electrostatic In-Ear headphone/DAC combination, the KSE1500 which promises to take the IEM experience to a whole new level, so watch this space!